Kathryn Morgan (above, ca. 1980) died in November. Morgan’s colleagues remember a wise, charismatic woman who intellectually bridged the gap between W.E.B. DuBois and Malcolm X, a militant yet gentle soul who embraced everything of interest with intensity, and a radiant presence who drew on lessons learned from her ancestors as others draw breath. 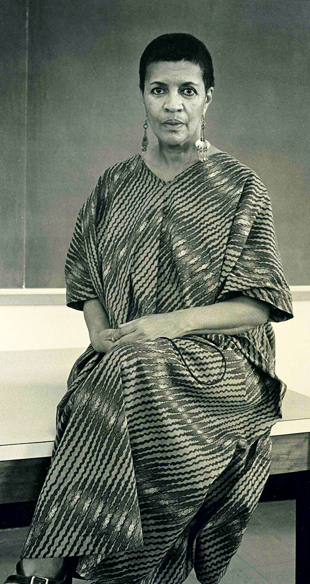 Morgan came to Swarthmore in fall 1970 via Howard University and the University of Pennsylvania, where she had compiled a doctoral thesis on “The Ex-Slave Narrative as a Source for Folk History.” She joined the history department as the College’s first African American professor and its first folklorist. Although popular with students, her courses—including Folklore and Folklife Studies, History through Folklore and Literature, Black Women in Historical Perspective, and Black Culture and Consciousness—were considered by some historians to be outside the field’s mainstream. 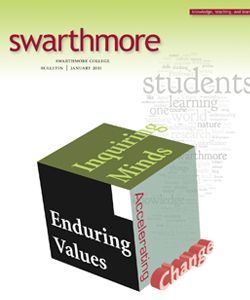 In a 2000 Bulletin interview, she described how, despite tensions within her department and initial denial of tenure, she ultimately prevailed, becoming the first African American woman to receive tenure at Swarthmore. In her seminal work Children of Strangers: The Stories of a Black Family (1980), Morgan portrayed the attempts of five generations of women in her family to cope with the fears, anger, and anxieties of life in a hostile white society. It was the first work of African American family folklore by a folklorist. “Family folklore was the antidote used by our parents, grandparents, and great-grandparents,” she said, “to help us counteract the poison of self-hate engendered by racism.” (watch: Kathryn Morgan tells her family’s stories). Morgan taught and spoke widely on African American folklore, history, and culture and, in the 1970s, held visiting teaching positions at Bryn Mawr and Haverford colleges, the University of Delaware, and UC–Berkeley. She was the first African American elected to the executive board of the American Folklore Society and was named a member of the Circle of Elders of the National Association of Black Storytellers. 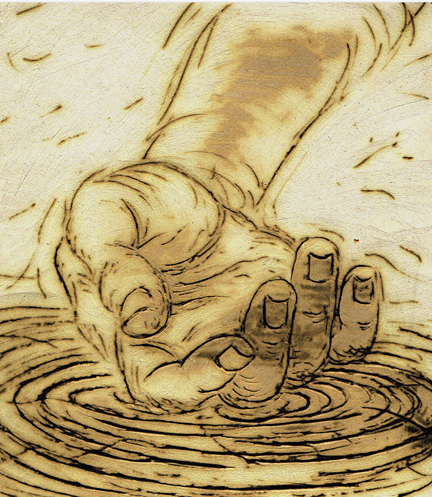 "Hand in Water" by Professor of Studio Art Sydney Carpenter appeared in Morgan’s 2003 book of poetry Envisions. In 2000, a scholarship was established in her name to support students with an interest in black studies. In 2003, in collaboration with Syd Carpenter, who provided illustrations, her book of poetry Envisions was published. In spring 2009, she listened beaming, as students, alumni, faculty, and staff members read her poems at the inaugural Kathryn Morgan Poetry Festival. “We honor Kathryn by knocking down the walls of pretension, being aware of the racial subtleties that oppress, and calling out the cowards who savor a sense of superiority,” says Marjorie Murphy, professor of history.